URBAN AGE ELECTRIC CITY CONFERENCE. 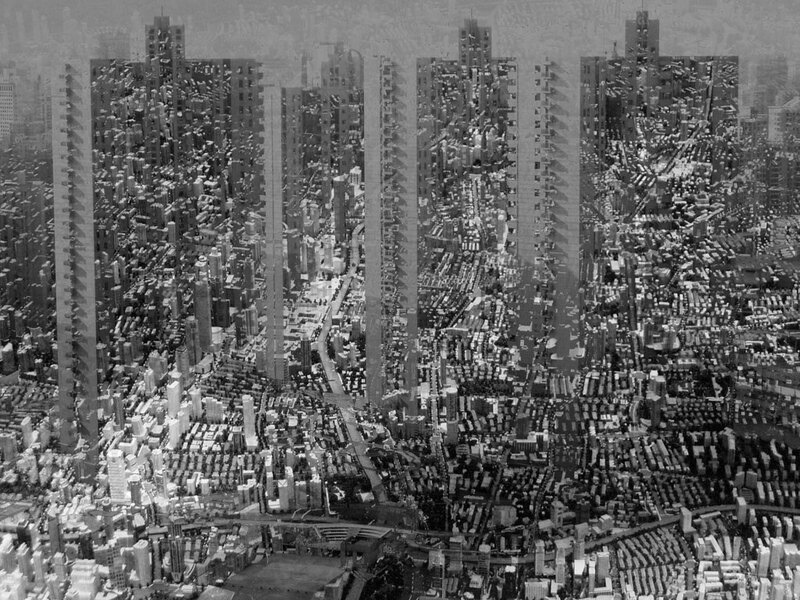 A worldwide investigation into the future of cities. LONDON 6-7 DECEMBER 2012. I went along to this…. Maybe it was the venue, the Electric Light station but too many speakers acknowledged the venue as a landmark site and rooted themselves in anecdotal reflection while failing to jump into speculative imaginings of a smart, connected, intelligent city which is what I was hoping for. The conference started at a tangent when it was side tracked / hi jacked by the political with the PM David Cameron and Mayor Boris Johnson announcing a new initiative showing to a crowded room of designers and architects how a 50 million pound building that would be sited on a roundabout would be the centre of a new technological age. From Craig Calhoun onwards the word infrastructure was the default position or reference point and maybe quite rightly. As an observation even cities without any notable infrastructure seem to have and behave like cities. Cities are systems. Rem Koolhaas observed and documented this lucidly several years back in his film about Lagos. The smart city will be a system that is designed or at least implemented and to evaluate this two things were missing:- real world examples and speculative approaches with answers. The conference needed to find the new questions revolving around not only the climate based issue and new migrations but also this issue of the control space and the new virtual borders. Richard Sennet was wrong to suggest this technology (ref fibre optics etc) is too expensive for people to have in their own homes. I have two wireless sensor networks that I have developed and it hasn’t stopped me commenting and taking apart. Individual will drives political change. Cities change rapidly because of events. These can be anything from acts of god, to events in other systems that cause change through initial unpredictable behaviour. Deyan Sudjic, Director, Design Museum referenced the shipping container. It caused mass changes in labour markets and intitated globalisation. Ten years after the container was invented thousands of dockers had lost their jobs. The process of a city butterfly effect has knock on consequences. Saskia Sassen, brought in another anecdote about gentrification of poor urban areas which led to a revival of the space and local park because dog owners where forced to walk their dogs in the park thus reviving local and public space; thus demonstrating causal effect on the organic system of the city. And as much as Richard Sennet argues for the horizontal against the vertical, I would speculate that lines don’t matter anymore in the smart city as everything can be reduced by closeness to in the virtual world to being next to one another. In the smart city everything is compressed. The network system can ignore both the horizontal and the vertical and just make the connection. One doesn’t need to travel up or along but through space. Adam Greenfield remarked that the city is controlled from above. From Gods eye to the electronic eye the world has always been controlled from above except now we have all become Gods eye. Since we can acknowledge this the Electric City missed an opportunity to offer new perspectives on how the legal profession will deal with this very new multi point perspective that is now available to all. “Order might start from below” as Jane Jacobs noted but control is now in the heavens. The new technologies which I call the mother of big brother will oversee all battles that get played out in out future cites and will act on them as purposed. The question therefore is how do we re-purpose the technology? A point which Wolfgang Pietsch, Munich Center for Technology in Society alluded to. He said increased experimentation leads to more control. IE social; forecasting and predictive modelling and visualisation might be part of the problem. Carlo Ratti, Director, MIT Senseable City Lab pointed to a few of his examples where sensing and actuators can allows something to ” start to speak ” and found that accidents in the machine can illustrate ways forward. However people always find a way, and generally it’s that of least resistance. Erik Spiekermann noted that like sheep we will take or own route forcing the design to change for us. The focus also came back to politics on day two with Anthony Giddens, whose brilliant keynote hi jacked the whole agenda focusing the audience into a reality of risk based around the political will and agency of the climate change problem. Which was illuminated by the quote of the conference from Tessa Jowell, Member of Parliament, UK; “trust it’s too high to aspire to”. And in that one short statement she hi-lighted an inflexibility in the system. Trust is imperative in everything we do, it is something everyone should aspire to, and a politician who cannot aspire to be trusted cannot by default be trusted. The generation that cannot aspire to be trusted needs to get out the way. No politics is better that un-trusted politics. All system will find a path, all dogs need to be walked, all cites change and evolve. Out future and the future of the smart city is based on trust, both in the technology that it can serve us all and the trust that if we work together and share knowledge it will be for a better city. Anthony Giddens, hi-lighted the importance of the moment we are now in and stressed its significance. We live in an age of high risk but great opportunity. Previous Entry: “Data as Culture” artwork made for the Open Data Institute (ODI). Next Entry: Stanza Metal Cities at Flux Jewellery School. Previous Entry “Data as Culture” artwork made for the Open Data Institute (ODI). Next Entry Stanza Metal Cities at Flux Jewellery School.